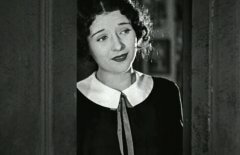 "That Model from Paris" is a touching comedy-drama starring the extraordinary silent movie star Marceline Day. 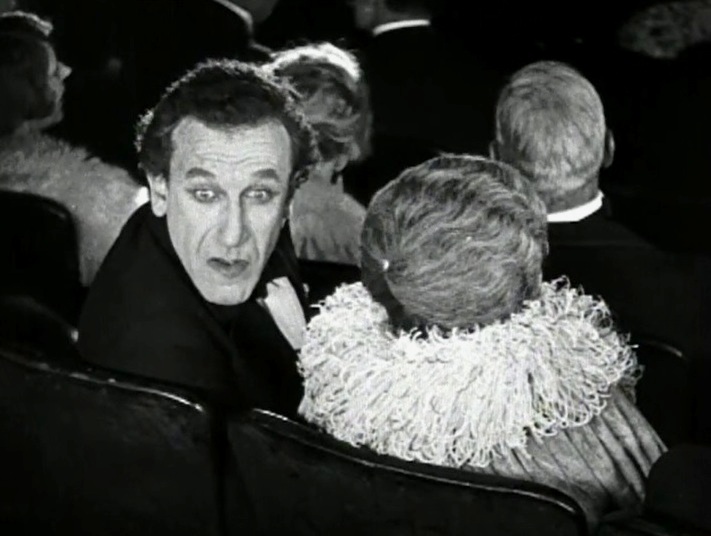 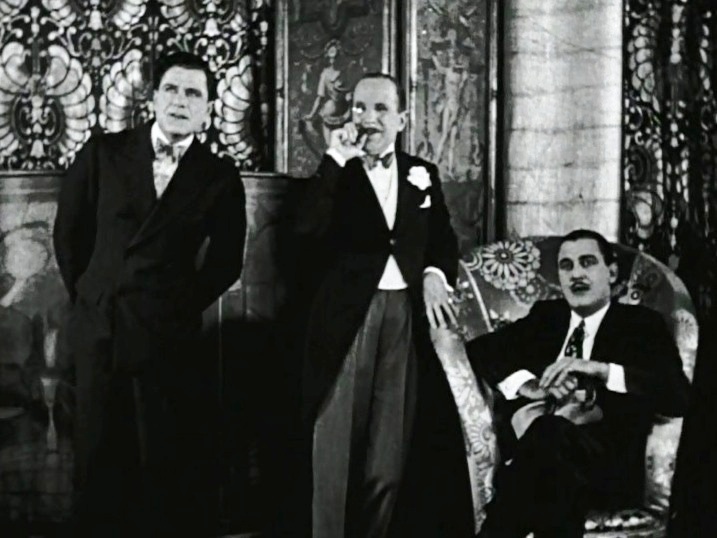 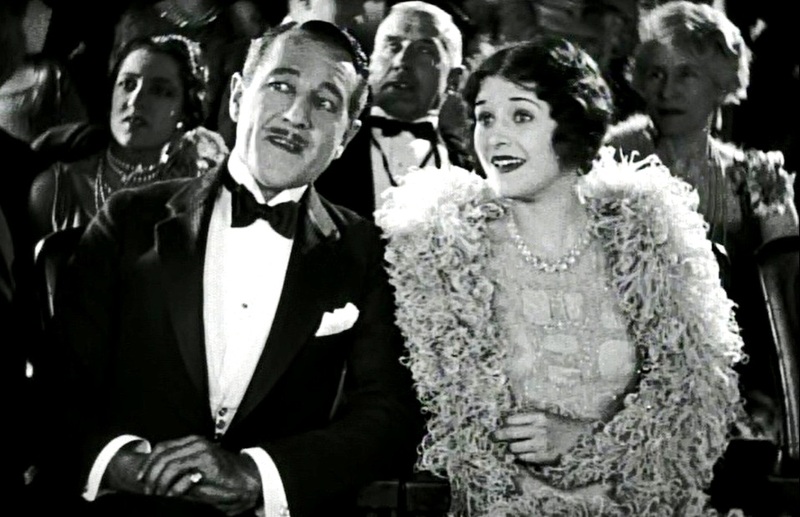 The supporting cast includes Bert Lytell, Ward Crane, Eileen Percy, Arthur Hoyt, Crauford Kent, Otto Lederer, Miss DuPont, George Kuwa and others. 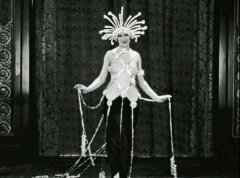 The ladies will also be interested in a 1926 dress show coming from France. 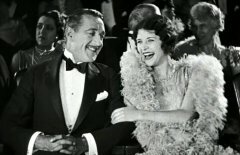 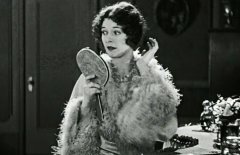 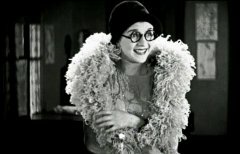 One blogger asserts here that for her performance in "That Model from Paris", in which she played the title role, Marceline Day deserves a star on the Hollywood Walk of Fame! 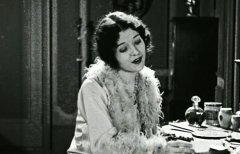 Marceline Day is a simple cashier at a fashion house in "That Model from Paris" (1926). 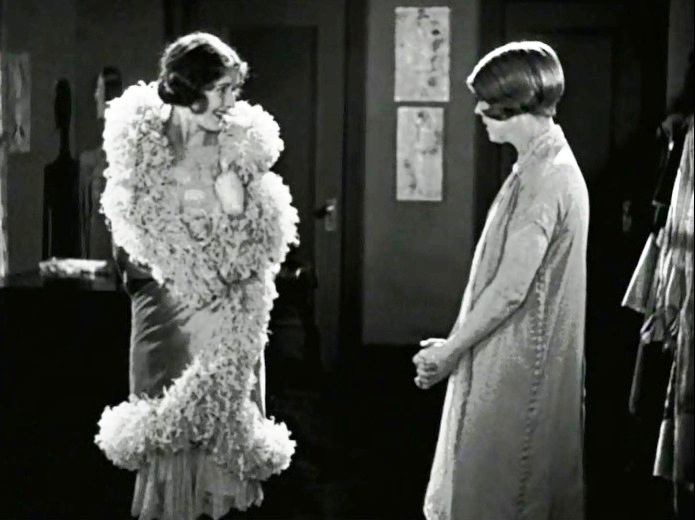 Marceline Day is excited to try on a fashion gown sample in "That Model from Paris" (1926). 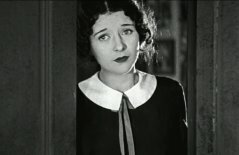 Marceline Day has a new look under the critical eye of Eileen Percy in "That Model from Paris" (1926). 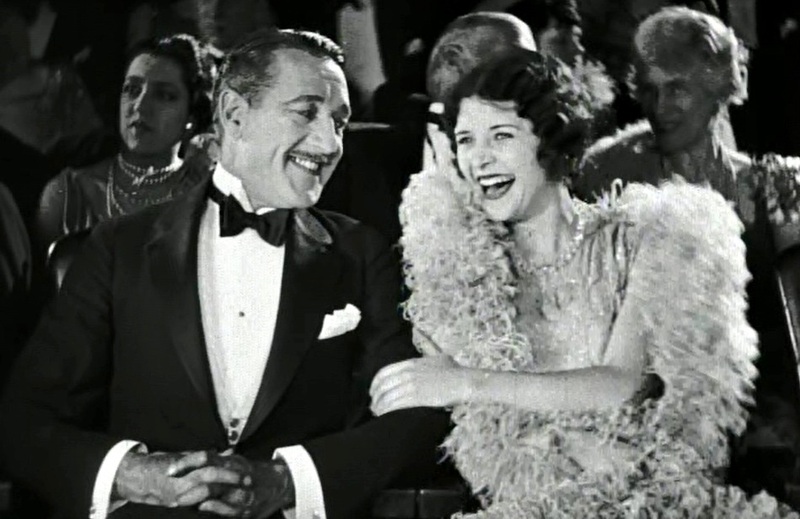 Marceline Day and Crauford Kent share a laugh in "That Model from Paris" (1926). 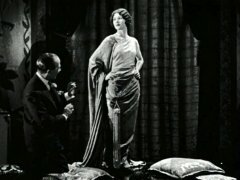 Eileen Percy catches Ward Crane looking at another woman in "That Model from Paris" (1926). 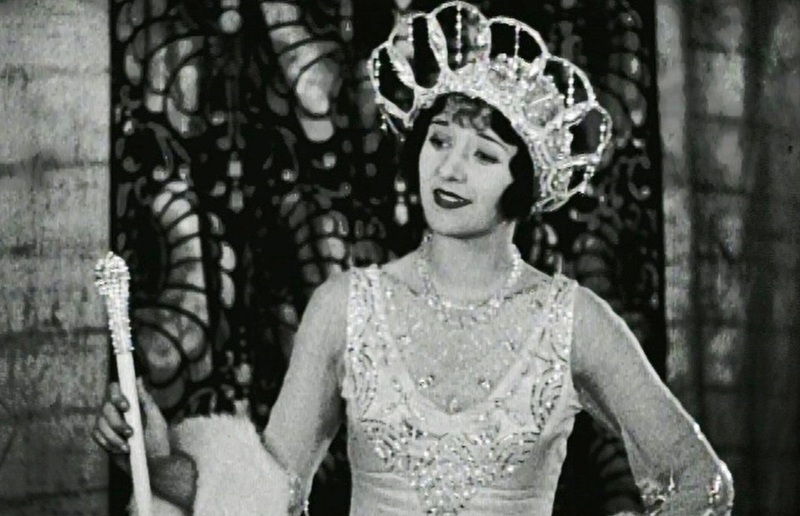 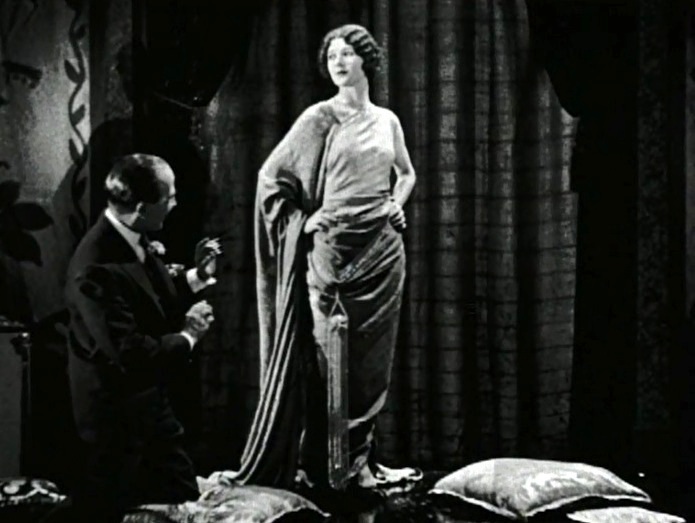 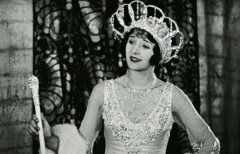 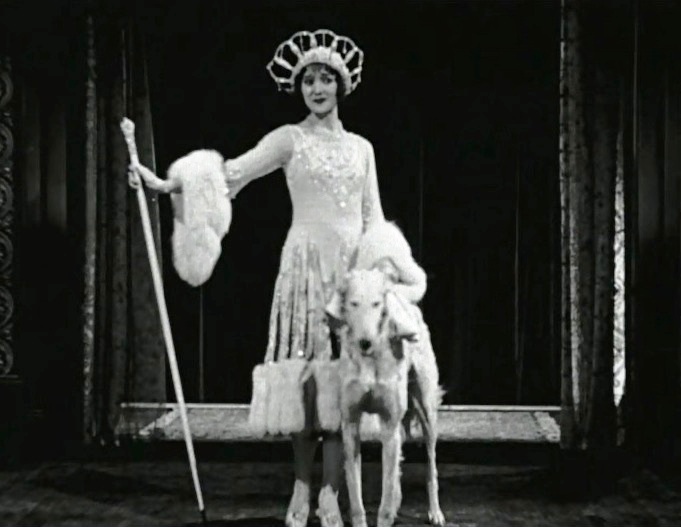 Otto Lederer sees Marceline Day wearing a sample gown in "That Model from Paris" (1926). 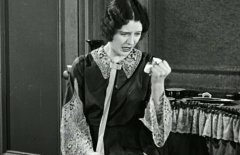 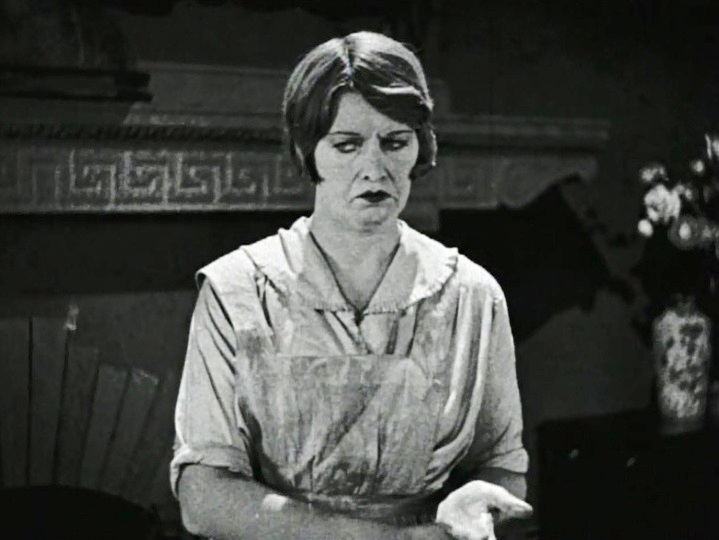 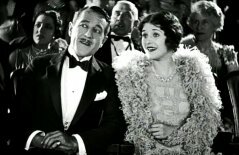 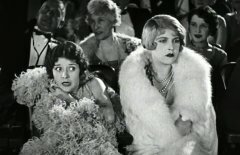 Marceline Day is horrified to see her boss as Eileen Percy is oblivious of the drama in "That Model from Paris" (1926). 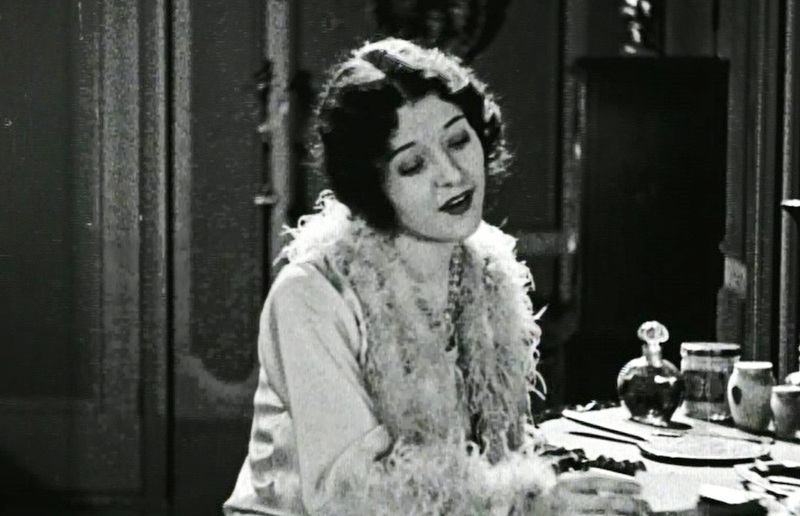 George Kuwa uses the mixer skillfully and enthusiastically in "That Model from Paris" (1926). 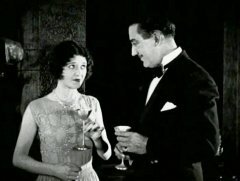 Ward Crane offers Marceline Day a drink in "That Model from Paris" (1926). Marceline Day sniffs the drink and is not impressed in "That Model from Paris" (1926). 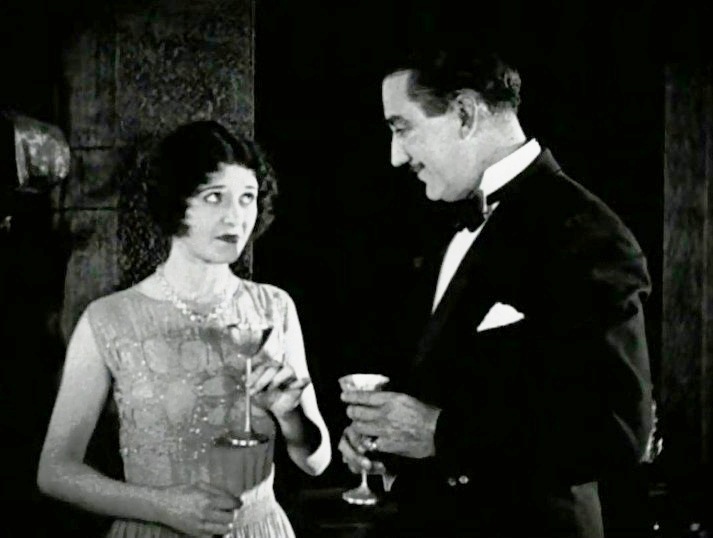 Marceline Day needs encouragement to try her first drink in "That Model from Paris" (1926). 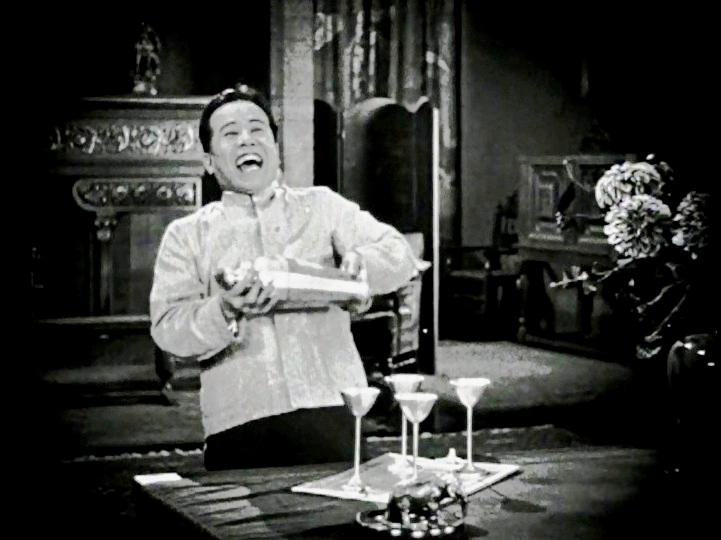 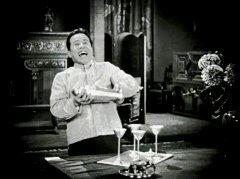 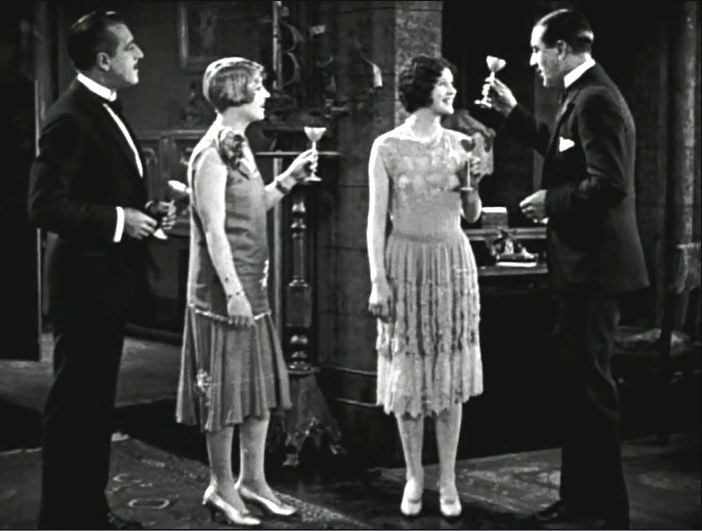 The company raises a toast for Marceline Day's new modeling job in "That Model from Paris" (1926). 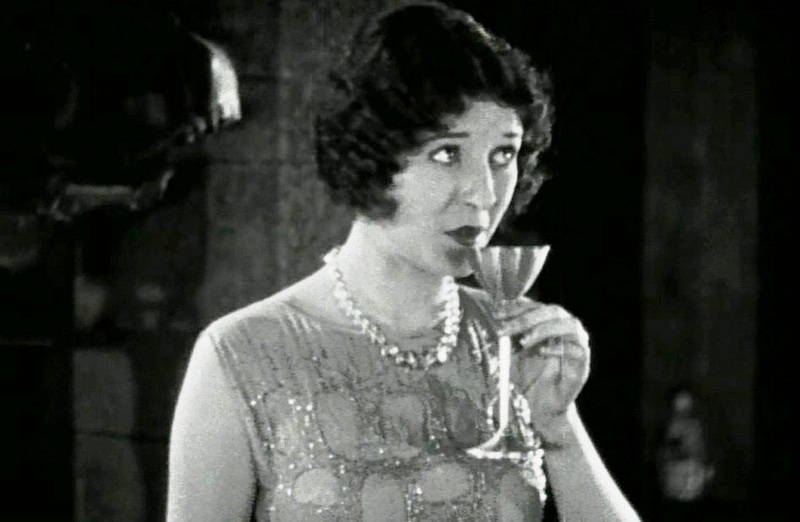 Marceline Day hesitates about her first drink in "That Model from Paris" (1926). 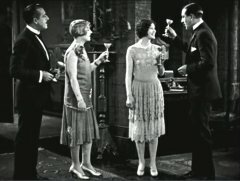 Marceline Day needs her friend's help about her first drink in "That Model from Paris" (1926). 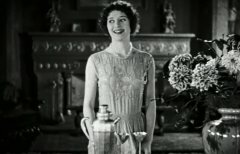 Marceline Day finally gives her first drink a tentative sip in "That Model from Paris" (1926). 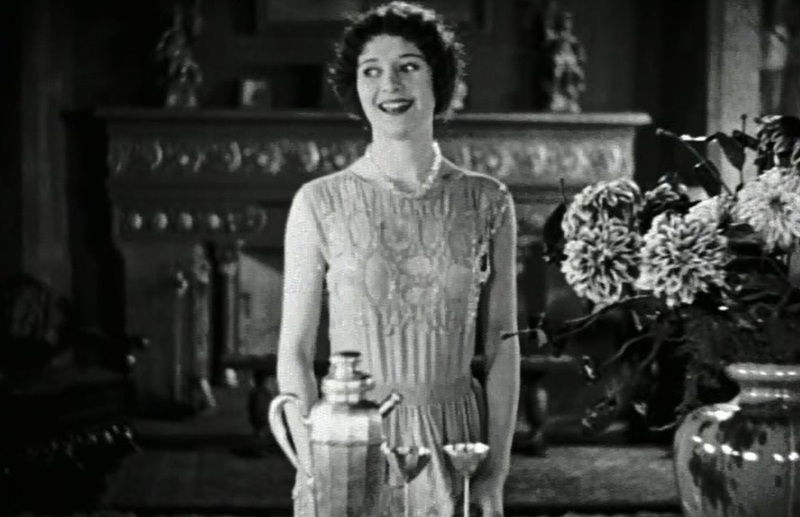 Marceline Day is relieved after pouring the drink into the sink in "That Model from Paris" (1926). 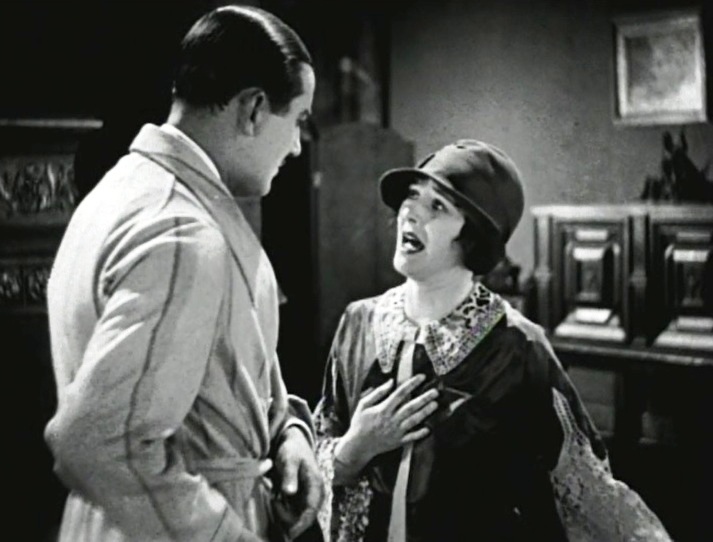 Marceline Day gets unwelcome advances from Ward Crane in "That Model from Paris" (1926). Marceline Day is distraught after Ward Crane's forceful advances in "That Model from Paris" (1926). Marceline Day is concerned as Arthur Hoyt proceeds with his game plan in "That Model from Paris" (1926). 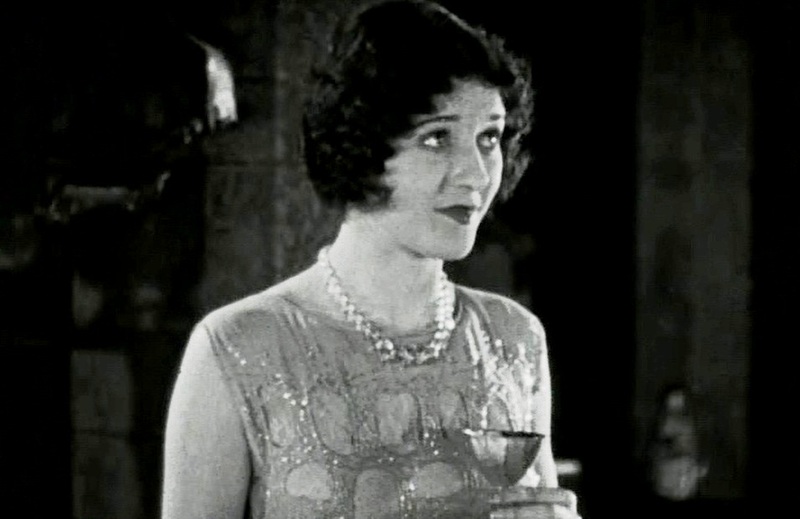 Marceline Day is concerned by her proposed role in "That Model from Paris" (1926). Marceline Day finally accepts her role in "That Model from Paris" (1926). 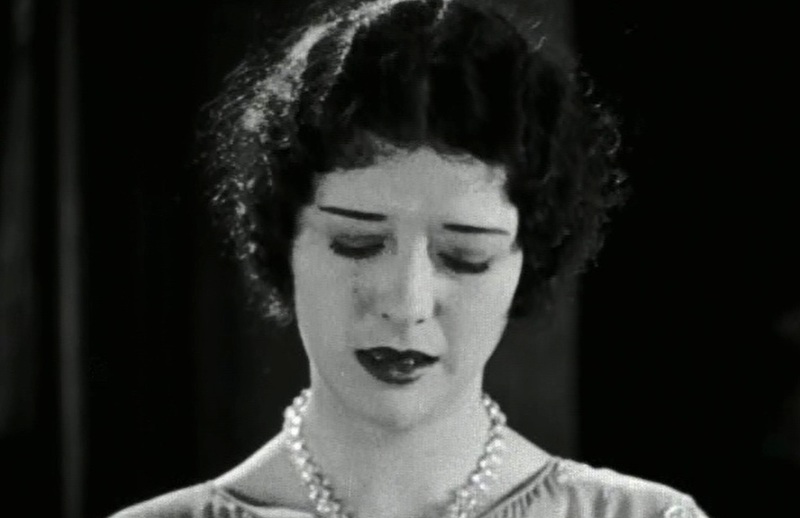 Marceline Day tries hard to show that she doesn't understand English in "That Model from Paris" (1926). A model demonstrates the new Parisian fashion trends in "That Model from Paris" (1926). 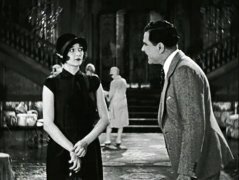 All the men are mesmerized by Marceline Day in "That Model from Paris" (1926). 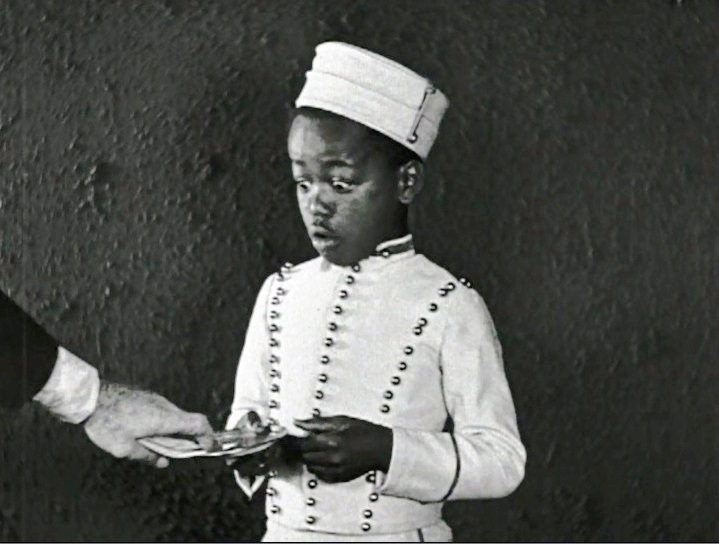 A little courier learns some new rules in "That Model from Paris" (1926). 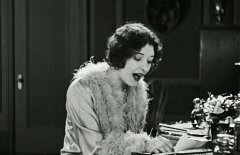 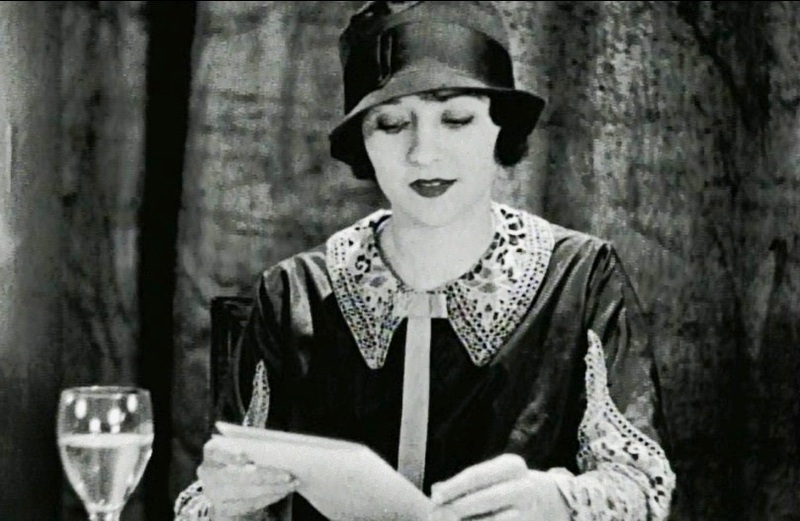 Marceline Day uses a dictionary to translate a note into English in "That Model from Paris" (1926). 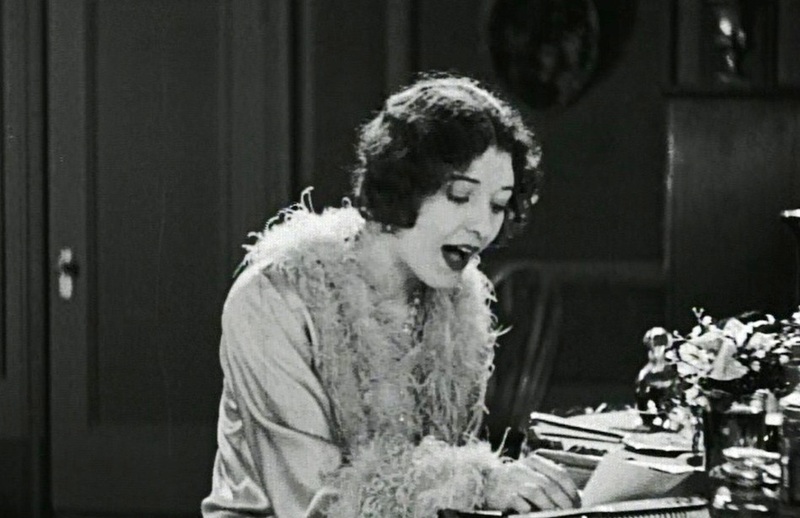 Marceline Day is happy to finally understand the note in "That Model from Paris" (1926). 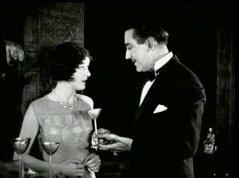 Marceline Day faces the man with the unwelcome advances again in "That Model from Paris" (1926). 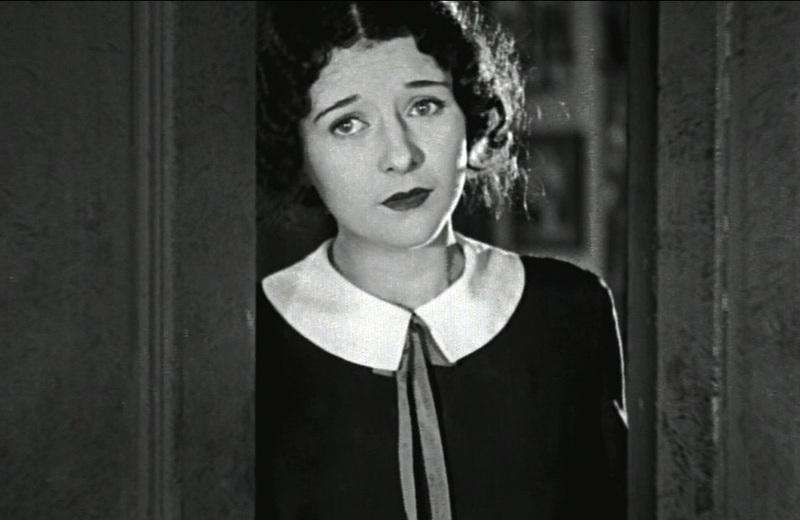 Marceline Day tries to deflect the new unwelcome advances in "That Model from Paris" (1926). 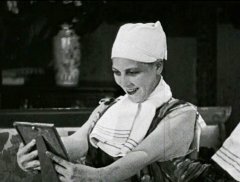 Eileen Percy shows her boyfriend's picture some love in "That Model from Paris" (1926). Miss DuPont is very skeptical of Eileen Percy's infatuation with her boyfriend in "That Model from Paris" (1926). Undeterred, Eileen Percy shows her boyfriend's picture some more love in "That Model from Paris" (1926). 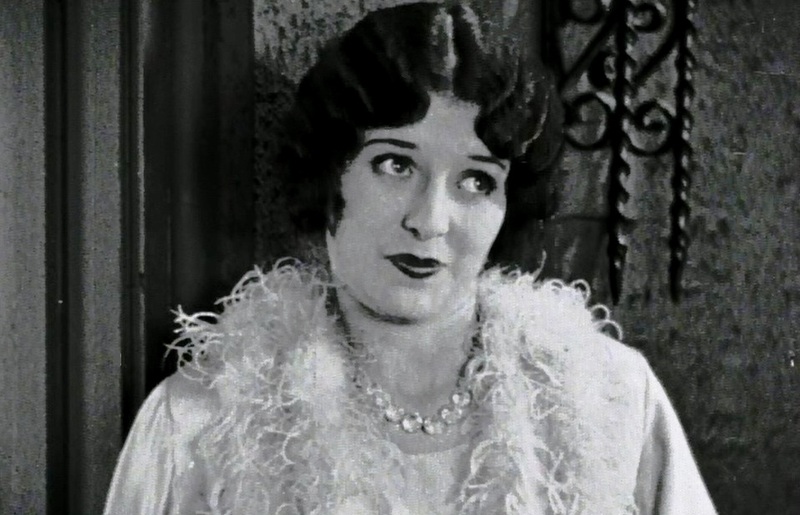 Marceline Day says "No!" 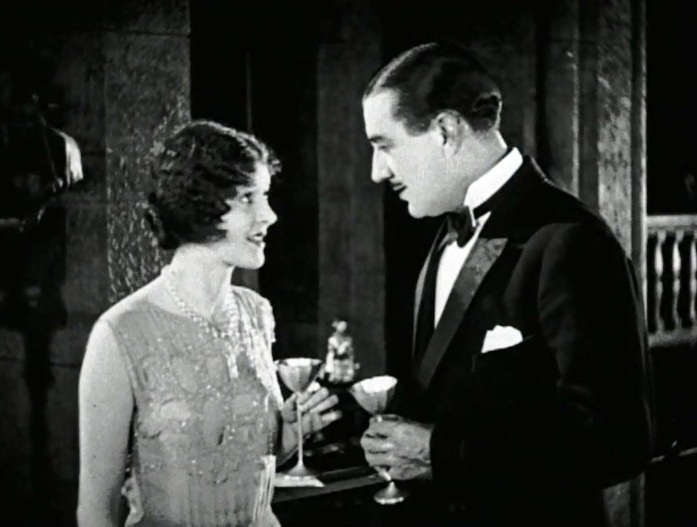 but still joins Bert Lytell for lunch in "That Model from Paris" (1926). 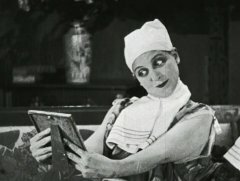 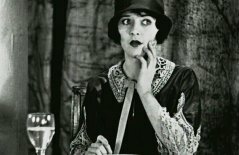 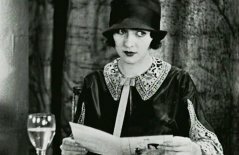 Marceline Day takes a look at the menu in "That Model from Paris" (1926). 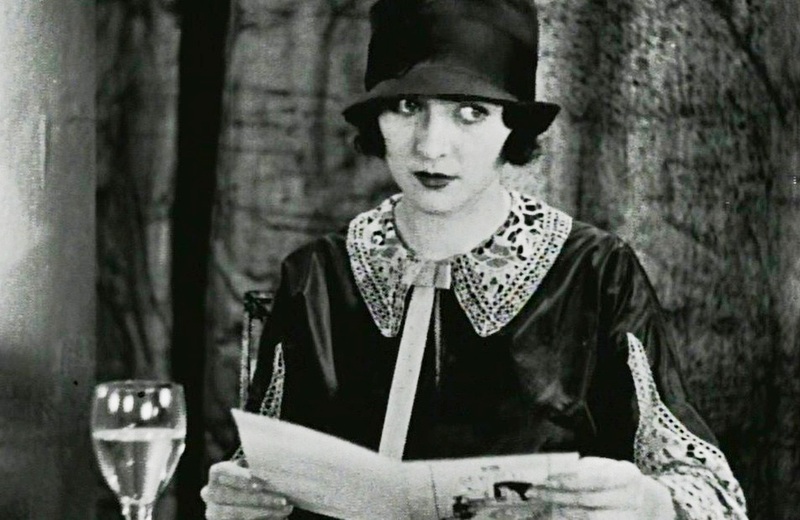 Marceline Day realizes that the menu is not in English in "That Model from Paris" (1926). 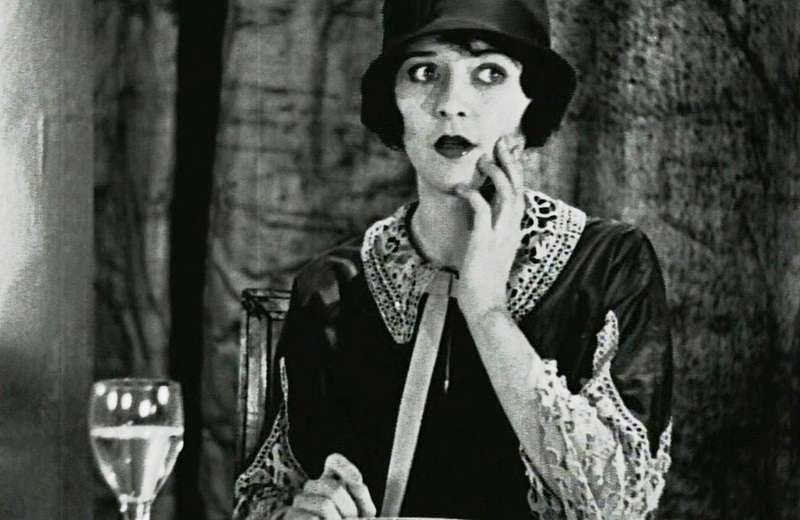 Marceline Day must listen to the chef who speaks a foreign language in "That Model from Paris" (1926). Marceline Day gets some insistent advances from Bert Lytell in "That Model from Paris" (1926). 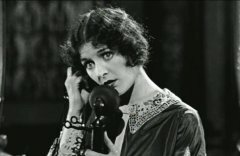 Marceline Day is betrayed by a brief phone conversation in "That Model from Paris" (1926). 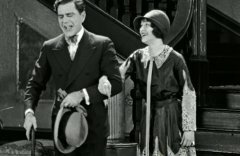 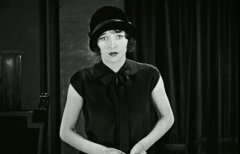 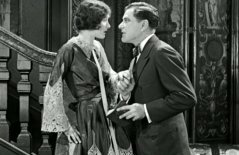 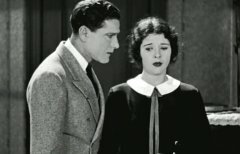 Marceline Day is confronted by Bert Lytell with what he believes is a damaging evidence in "That Model from Paris" (1926). Marceline Day begs Bert Lytell to believe her in "That Model from Paris" (1926). 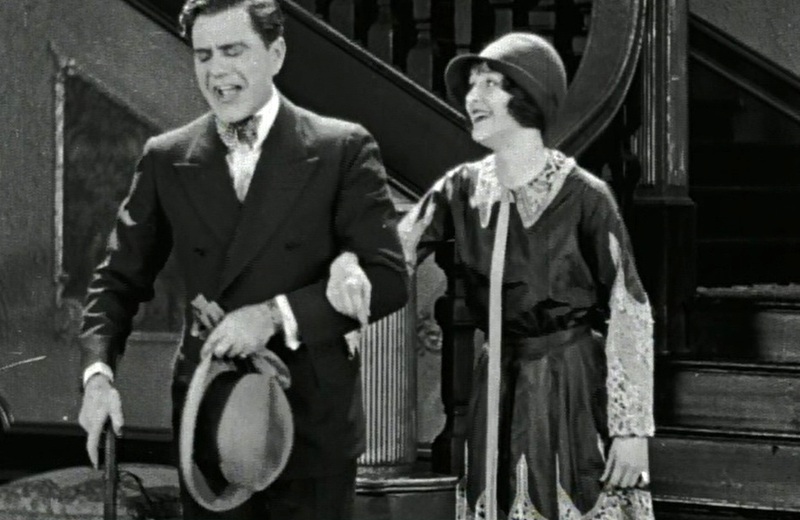 Marceline Day rejects Bert Lytell after he rejected her in "That Model from Paris" (1926). 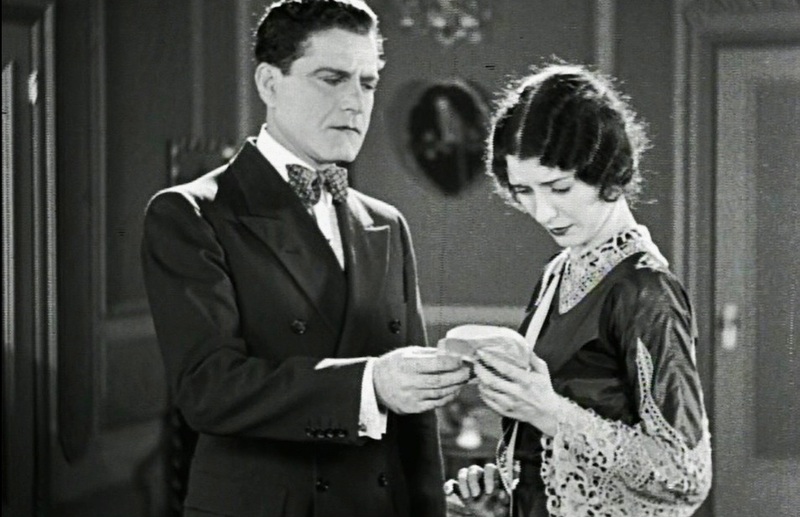 Marceline Day clutches the piece of paper that is ruining her life in "That Model from Paris" (1926). 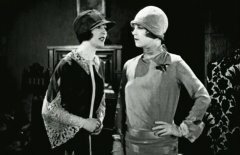 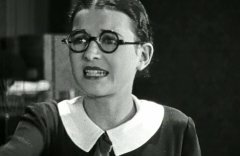 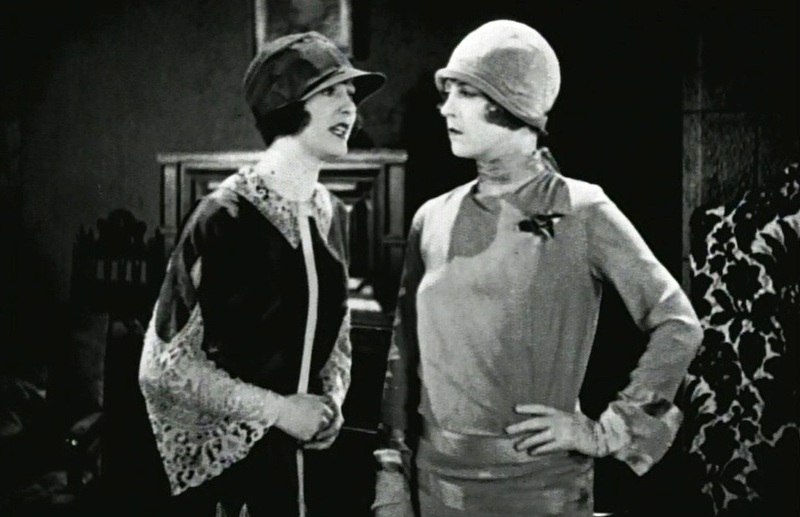 Marceline Day asks Eileen Percy for help in "That Model from Paris" (1926). 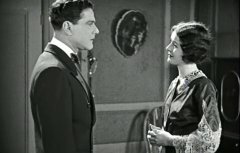 Marceline Day urges Ward Crane to come forward and tell the truth in "That Model from Paris" (1926). 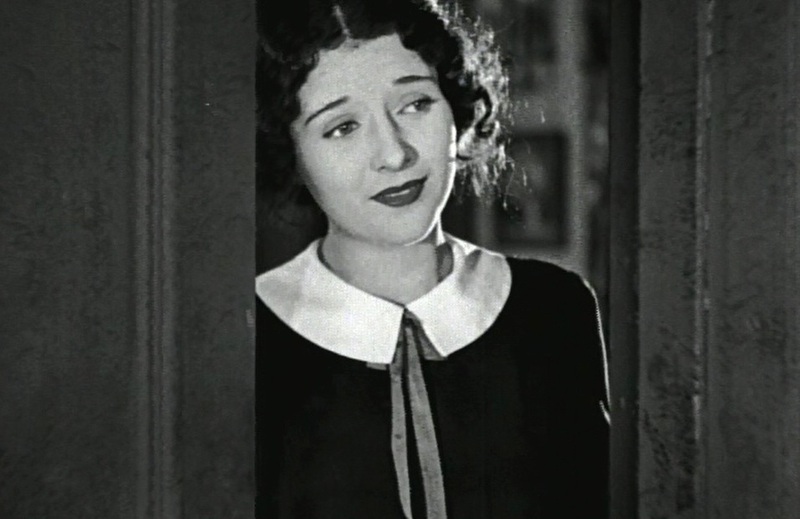 Marceline Day opens her door for the landlady in "That Model from Paris" (1926). 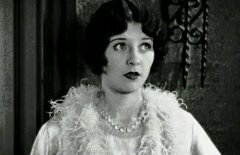 Marceline Day sees Bert Lytell again in "That Model from Paris" (1926). Marceline Day is not convinced as Bert Lytell begs her forgiveness in "That Model from Paris" (1926). 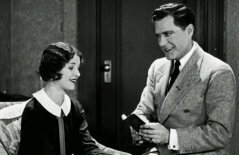 Marceline Day looks on as Bert Lytell shows her the dictionary that he used in "That Model from Paris" (1926).